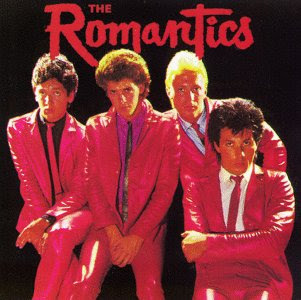 My first introduction to The Romantics came when a snippet of their video for "Talking Your Sleep" played back on American Top 40's top ten video countdown back in 1984. Sure, it wasn't MTV but everyone had tapped into the music video craze and created their own version of it. The video itself was bizarre because it featured a bunch of women seemingly standing in their sleep clad either in lingerie or pajamas. I loved the song and when my dad gave me a copy of the 45 single I can remember playing it constantly. Some synth ends up sounding really dated to me. This isn't one of those songs. "Talking In Your Sleep" still holds up as a pretty solid song. I may not go out of my way to play it nowadays, but when it comes on the radio or pops up in my work playlist I'm not shutting it off either.